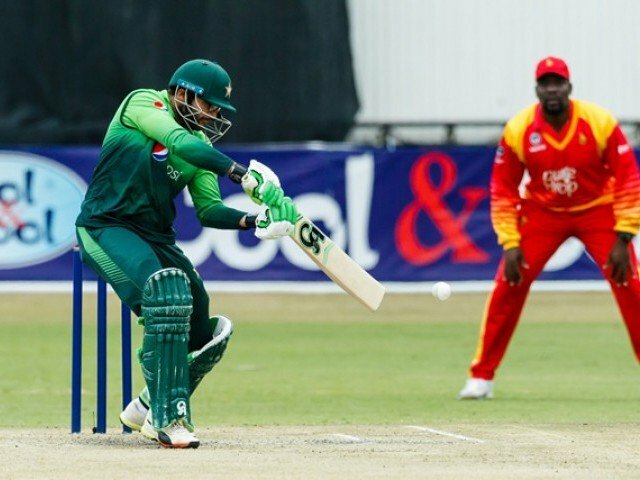 Pakistan set a mammoth total of 364 against Zimbabwe in the fifth and final one-day international (ODI) after winning the toss and electing to bat against Zimbabwe at Queens Sports Club on Sunday. Opener Fakhar Zaman became the fastest batsman to score 1,000 runs in ODI cricket in just his 18 innings, breaking the record of 21 innings first set by the legendary Sir Viv Richards in 1980 and since equaled by Kevin Pietersen, Jonathan Trott, Quinton de Kock and, most recently, Babar Azam. Earlier, the Green Shirts won T20 tri-series after beating Australia and the hosts Zimbabwe. Pakistan’s Fakhar Zaman and Imam-ul-Haq’s opening partnership of 304 helped visitors secure a record-breaking 244 runs victory against Zimbabwe in the fourth ODI on Friday. This win was Pakistan’s second-biggest ODI win behind the 255-run win over Ireland in 2015.